Buddha Air is second to none domestic airlines in Nepal. We are not only concerned in providing the best services to our passengers but also satisfy them in every step with our 24/7 customer service. 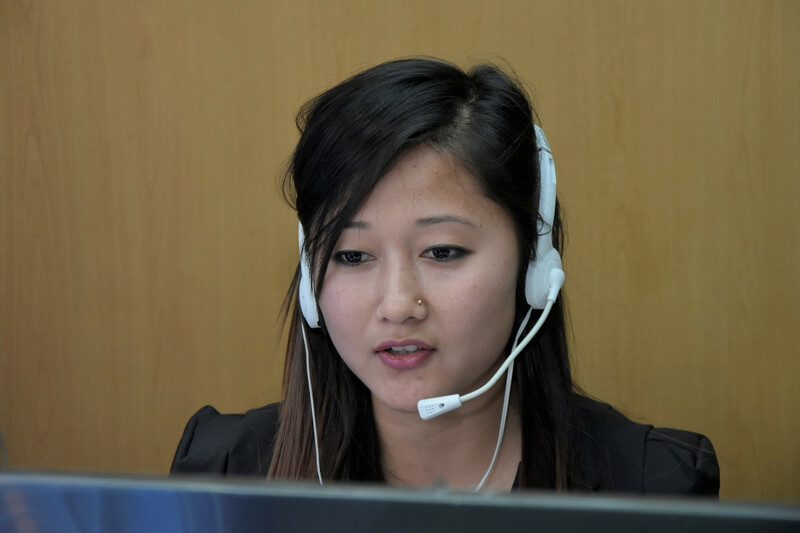 Below are the top FAQs answered by our dedicated customer service representative. 1. Does Buddha Air allow pet on flight? 2. Where do I get the latest information regarding my flight status? - The latest information on your flight status of the day can be found on our website here on our mobile app. 3. Where can I get all the information about Buddha Air? 4. Do you have discount on child fare? - Yes, we have discount for child fare. 33% of normal fare is discounted for child passenger. 5. What is the age category for infant passenger? - Passenger(s) who are 7 days old to under 2 years old at the time of travel are considered infant passenger(s). 6. What is the age category for child passenger? - Passenger(s) who are above 2 years and under 12 years at the time of travel are considered child passenger(s). If the child is above 12 years of age, he/she is considered a young passenger. 7. Do you provide unaccompanied minor service? 8. I have purchased a ticket, but need to reschedule. What do I do? - You can reschedule your ticket, but charges and terms and conditions apply. 9. I have incorrectly entered the wrong passenger name? What do I do? 10. What documents / documentation are required for check-in? - You will need your ticket and a valid photo ID at the time of check-in at the airport. o For Nepalese, a government issued national ID like citizenship, driving license, election photo ID card is accepted. o For Indians, you need any government issued photo ID except for Aadhar Card. o For foreigners, you will need a valid passport during check-in. 11. How do I cancel my ticket? 12. What time should I reach the airport for my domestic flight? - For domestic flights, you will need to reach the airport an hour before departure time. 13. What time should I reach the airport for my international flight? - For international flights, you will need to reach the airport three hours before departure time. 14. Where can I get information regarding baggage limit? - A passenger is allowed to carry one 5kg hand carry luggage. The amount of check-in baggage will be clearly displayed at the time of ticket purchase. It is also printed on the ticket itself. The check-in luggage differs according to fare class. o 'Y' Class - 25 kgs. o 'A' & 'B' Class - 20 kgs. 15. Can I make changes to my booking after I have purchased a ticket? - You can only change the date and time of your ticket, but these changes must be made prior to scheduled departure of your flight to avoid no show charges. Changes to your booking can incur rebooking fees depending on the applicable fare rule. 16. Do I need a photo ID during check in? - Yes, a valid photo ID is mandatory during check in. - A passenger will be considered no-show when he/she does not check-in at the airport within the allotted time. 18. If I have purchased a ticket online, where is the proof that my ticket is confirmed? - An email of the ticket will be sent to the given email address. 19. Can I cancel my ticket? - Booking will automatically be cancelled if you do not purchase it within the duration of the TTL (Time to leave). No charges will be added for cancelled booking. 21. Can I choose my seat? - At the moment, we do not offer seat assignment option for our passengers. However, you can write a note that you will like to be seated near the aisle or window when booking your ticket on the remark section. 22. I've accidentally misspelled my name when booking? What do I do? 23. How do I get a printed ticket? - If you've purchased your ticket from our website or mobile app, an e-ticket should be sent to you on your email OR If you have logged in as a customer, your tickets will be available on the "My Booking" tab on both our website and mobile app. If you did not receive your email, you can easily get the ticket on our website here http://r1.buddhaair.com/manageBooking/. You need to fill in your PNR and ticket number. 24. I've been getting the "no flights available" page while searching for flights. Why? - Flights for the desired dates may not be available. Please try searching the flights for another day. If the problem still persists, try clearing your browser cache and search for the flights again. 25. What do I do if my baggage is missing or misplaced? - If your cabin baggage/hand carry or checked-in baggage has been lost, misplaced or damaged, immediately inform a Buddha Air representative at the airport. You will need to fill in a Property Irregularity Report (PIR) before you leave the airport premises. While filling in the form, please correctly indicate your flight details, baggage tag number, details of what your baggage looks like and your contact details. 26. What items are not allowed in my hand carry/ cabin baggage? o Sharp items like knives, scissors, nail cutter, razor blades, needles, paper cutter, etc. o Any dangerous items like corrosives, radioactive materials, ammunition, firearms, etc. 27. Does Buddha Air provide cargo facility? - Yes, we provide cargo facility in our domestic sectors. 28. What is cargo rate? 29. Can I transport my pet as cargo? 30. How is cargo accepted by Buddha Air? - We will accept cargo that is brought to the sales offices and outstations of Buddha Air. 31. Can a pregnant woman fly? 32. What should I do if I require stretcher? - You will need to make a stretcher booking 24 hours before flight time. You are required to submit an MEDIF form. Please note that for stretcher, you will need to book 6 Y class tickets and an extra seat for assistant passenger. 33. Do you provide oxygen cylinder? - We do not provide oxygen cylinder. Passenger can carry portable (2.5 inch) oxygen cylinder if medically required. 34. My cargo was delivered, but it was damaged? What do I do? - Please inform our representative at the cargo counter regarding the damaged cargo. 35. Do I have to purchase a flight ticket for cargo services? - No, you do not need to purchase ticket to send cargo. Our cargo is an additional service that we provide for our customers. 36. If my child is traveling alone, what should I do? 37. What should I do if I need a wheelchair? Note: If you have questions about Buddha Air that are not addressed, comment them below.